Finding the right SUV starts with a look at the 2019 Jeep Cherokee near Longmont Colorado. Trim levels offer truly different packages. Cabins offer original color schemes. The latest dash technologies and most modern safety systems are on the menu. At Pollard Jeep, you’ll find a big selection of the Cherokee in different trim levels and colors. 2019 Jeep Cherokees stand out for their style, their engine prowess, and their off-roading capability. The SUV is definitely a good hauler. It has nearly 25 cubic feet in the hold. Eight tie-down loops provide organization. You will find almost 55 cu.ft. with the second row folded. The passenger cabin welcomes wigglers with 128 cu.ft. of space. The back seat has 40.3 inches of legroom. Three engine choices include a new turbo as well as the traditional four cylinder standard engine and V6 option. Made to last, Latitude cabin materials will stand the test of time and use. Anchoring the modern design, a seven-inch touch screen is on the dash. This system is further expanded by Android Auto capability and Apple CarPlay. Leatherette door panels provide a soft touch. Illuminated cup holders add to the nighttime ambiance. Reclining rear seats and rear heat ducts help keep your second-row passengers happier. A fuel efficient MultiAir engine powers the 2019 Jeep Cherokee Latitude with front-wheel or available four-wheel drive. You can opt for a more powerful V6 for the Cherokee at Pollard Jeep serving Longmont Colorado. This engine is paired with a stop-start system to reduce city fuel use. A nine-speed automatic controls the action. Maximum tow rating is 4,500 pounds, and trailer sway damping is standard. For safety, the SUV has seven airbags, front seat headrests, and extensive traction controls. The ParkView Rear Backup Camera watches for obstacles and other cars. Serving Longmont Colorado, the Latitude trim provides entry-level pricing and a high-quality product that is sure to please shoppers on a budget. Brilliant in black, Caprice Lux leather-trimmed seats dress up with storm blue accent stitching in the 2019 Jeep Cherokee Latitude Plus. An eight-way power adjustable driver’s seat has a four-way lumbar adjustment. You’ll enjoy ambient LED lighting and illuminated vanity mirrors. In addition to the seven-inch touchscreen system, the Latitude Plus provides a year’s subscription to SiriusXM satellite radio. Latitude Plus steering wheels have duplicate audio controls. An extra USB port is added to the console bin. While the MultiAir engine is standard, shoppers can take advantage of the turbo. To make sure the turbo does its job without disturbing your passengers, an Active Noise Control System and an acoustic windshield are included. Like the regular four-cylinder and V6 engines, the turbo has a stop-start system. If you want to drive an original, this is a good place to start, and it has all of the essential entertainment tech you need. Looking the most unique of the bunch, the Trailhawk wears red tow hooks. Skid plates protect the front suspension, fuel tank, and underbody. This four-wheel drive edition comes with the V6, but it offers the turbo as well. It adds a heavy duty engine cooler to help with off-road challenges. Hill Descent Control balances gravity’s pull with your need to go slow when off-roading down a hill. With advanced Jeep know-how, this off-roader leads its class. The sporty attitude continues inside where you’ll find Nappa leather seats. Jeep has trimmed the chairs with red and added premium cloth inserts. Premium features make the cabin even more inviting. An 8.4-inch touchscreen can be loaded with navigation and HD radio. A humidity sensor is added to the HVAC system as part of its dual-zone programmable thermostat. The seven-inch TFT color display can be configured to match the driver’s needs. For on-road safety, the Trailhawk has a blind spot detection system. This includes a cross-path monitor for reverse maneuvers. 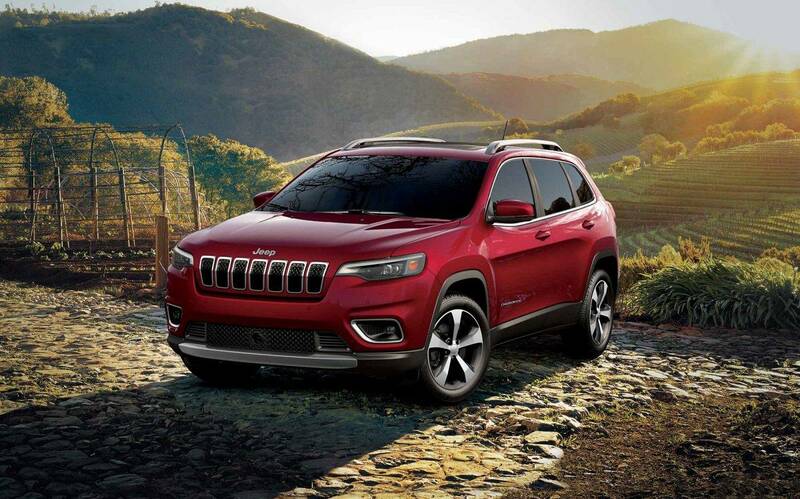 Drivers who love sport or adventure are sure to like the Trailhawk edition of the 2019 Jeep Cherokee near Longmont Colorado. With its standard heated front seats and a heated steering wheel, the 2019 Jeep Cherokee Limited trim may be a Colorado driver’s favorite. You’ll ride in style on premium leather upholstery. If you choose black, it is spiced up with an Iceland accent stitch. The black and ski gray combination wears a cattle tan accent stitch. Drivers will appreciate a power liftgate. Offered with the standard V6 and either drivetrain, this edition also offers the new turbo. Drivers will appreciate the available crash avoidance features such as a full-speed collision warning with crash mitigation. LaneSense provides a departure warning to help drivers stay straight. If you want a premium ride but don’t want to pay luxury prices, you should put the 2019 Jeep Cherokee near Longmont on your shopping list. There’s much more to explore about these and other Cherokee trim levels. 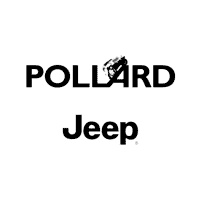 You can take a test drive at Pollard Jeep serving Longmont Colorado.